When I go into a shoe shop, as a rule I want to buy shoes. Frequently I am drawn in by the range of styles in the shop window and I will try on three to four pairs of shoes in order to buy a pair – or, less often, not to buy a pair. A good sales assistant will figure out what I’m looking for by seeing which shelf I’m browsing and will quickly bring me the right sizes from the cellar (or wherever else it is they disappear to). If I had had to rummage through a huge stockroom full of all the available styles and sizes, I would definitely have saved myself the expense of the last few pairs. Why should internet shopping be any different? Why are customers presented with a digital stockroom and left with nothing more than an often inadequate search function to help them? Google might be a reason: until a few years ago it made complete sense to give the search engine as much “feed” as possible. Lots of products with lots of variations and sizes meant lots of subpages. And as Google is such an enormous data hunter, the algorithm meant that this was an advantage. But that has fundamentally changed. Now, what counts is user behaviour. Only the sites where users feel technically and measurably comfortable still have a chance of featuring at the top of the Google index. Measured technically, this comfort factor is the time spent on the site, along with good click-through rates from the search results. And this comfort factor doesn’t apply to each individual URL, but the website as a whole. If you have a number of more effective pages, which users spend a long time browsing, and only a few where they don’t, your whole domain benefits. In contrast, if you have few good pages and lots of unnecessary ones, your website will be at a distinct disadvantage. What this also means is that websites with poor overall performance (for example, those red men’s sandals in sizes 5 and 13 which nobody buys) can drag the best-selling products right down. So, instead of simply cramming all our products into the index, we need to pursue a more effective strategy. My suggestion is this: as a rough estimate, about 80% of your turnover comes from 20% of your products. These products are your Category “A”. Do everything you can for them – take your own photos, write your own product texts and do whatever else you can think of. Then identify maybe 30% of your products, which have real potential as Category “B”. Naturally, these too should go into the index and given at least “good” treatment. Make it just one variant of each, of course: colour (“red t-shirt”) is a good example. All your other products (the remaining 50% or so) should be given the meta-tag “noindex”. These products will still be available on your website and your customers can buy them, but the Google crawler will ignore them. In short: concentrate on your really good products and put all your energy into them. This means focusing on the links to these products on your own website and the corresponding teaser recommendations. You will soon notice the positive impact: not only will your customers feel more comfortable on your site thanks to the links to your best-selling products, meaning they will hopefully buy more, but your visibility within your market sector will also increase as if by magic. Because as far as Google is concerned, the overall quality of what you sell will have increased significantly. With this in mind: happy Christmas trading! 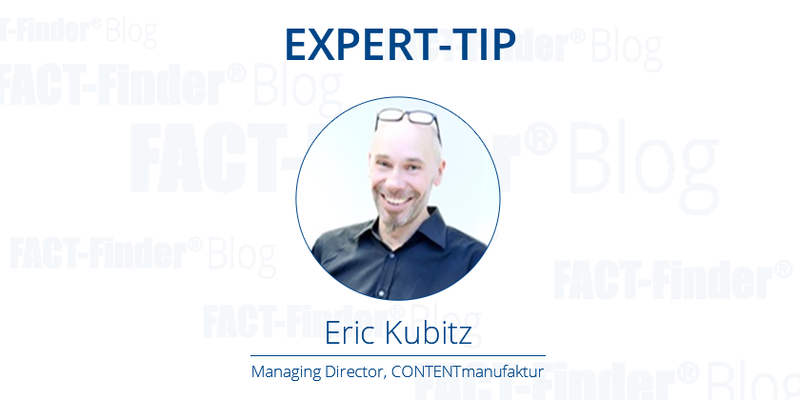 Eric Kubitz is the managing director of CONTENTmanufaktur, where he brings all his technical know-how, his SEO experience and his intimate understanding of online journalism to bear. He spreads his knowledge through lectures and training courses, including for the SMX, the SEOkomm, the German School of Journalism in Munich, the Baden-Württemberg Cooperative State University in Ravensburg, the Augsburg University of Applied Sciences, the Bavarian Press Academy, the Burda trainee programmes and the German Publishers and Booksellers Association. Trained in journalism and economics, he was part of the management team at CHIP Xonio Online GmbH before working freelance as an advisor for large publishers including Burda, Motorpresse and Springer. 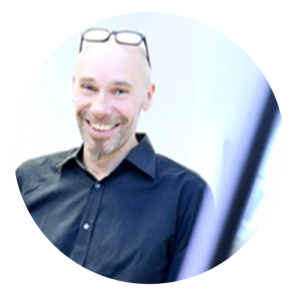 Eric Kubitz has made a training video “Search Engine Optimisation” for Galileo Press – seven hours of basics and tricks that can be learnt at leisure in the comfort of your own home. This video was released in October 2012. After the DVD sold out, Eric Kubitz made an updated version at the start of 2014. In November 2013 Eric Kubitz was chosen as one of the “100 most important internet personalities”. Judged by the editors and readers of t3n magazine, he came fifth in the field of “Online marketing”. Next Post What should online retailers do to generate more revenue in 2016?